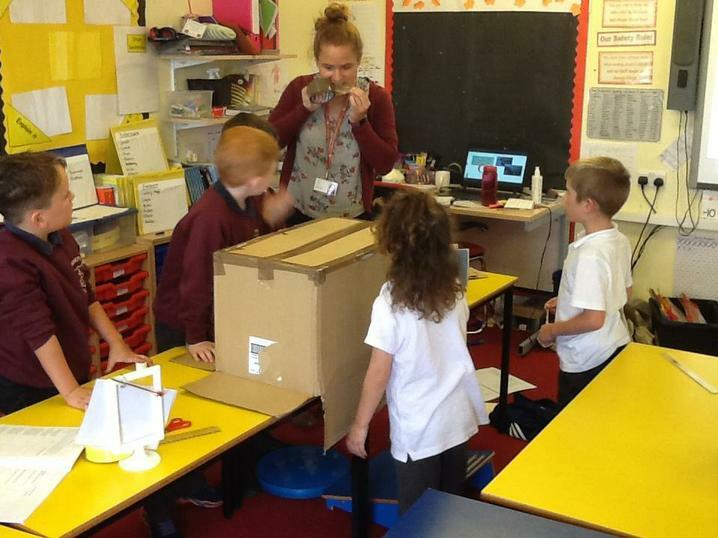 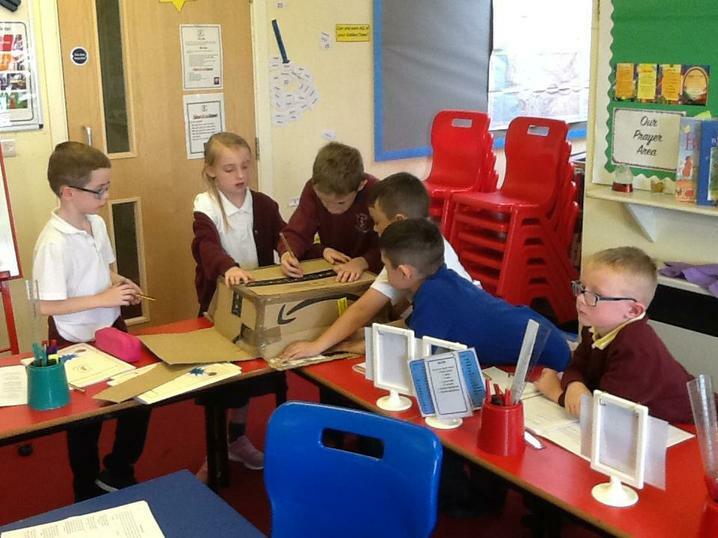 Using a cardboard box, we investigated light and discovered that without light we cannot see and that light travels in straight lines. 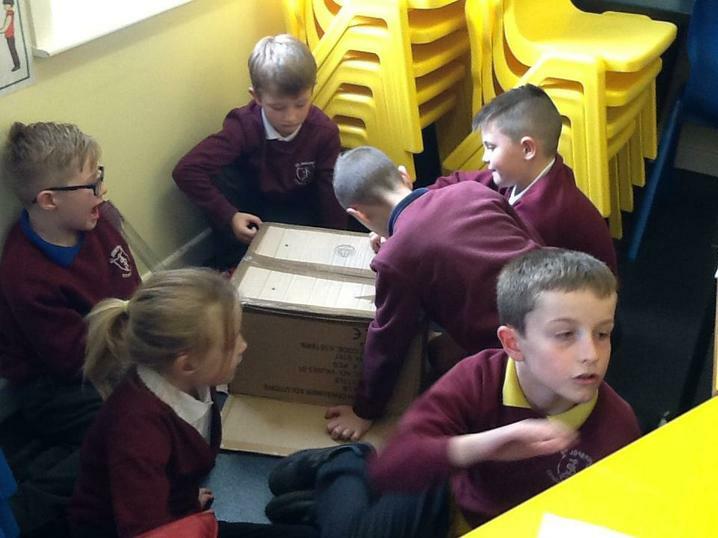 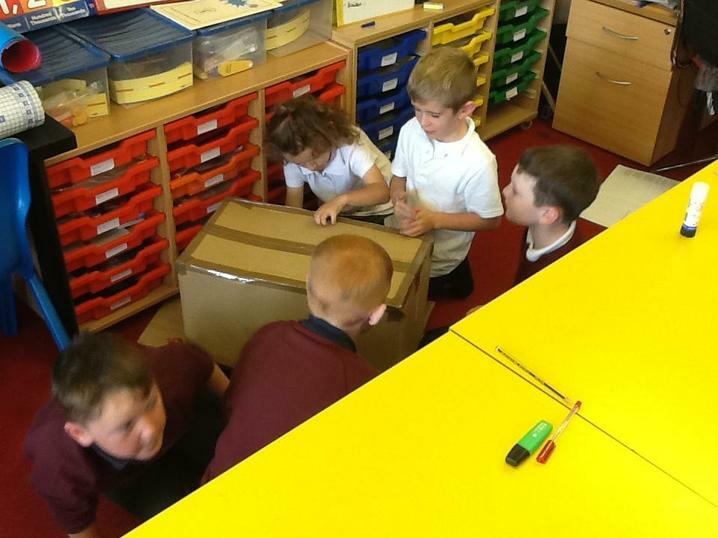 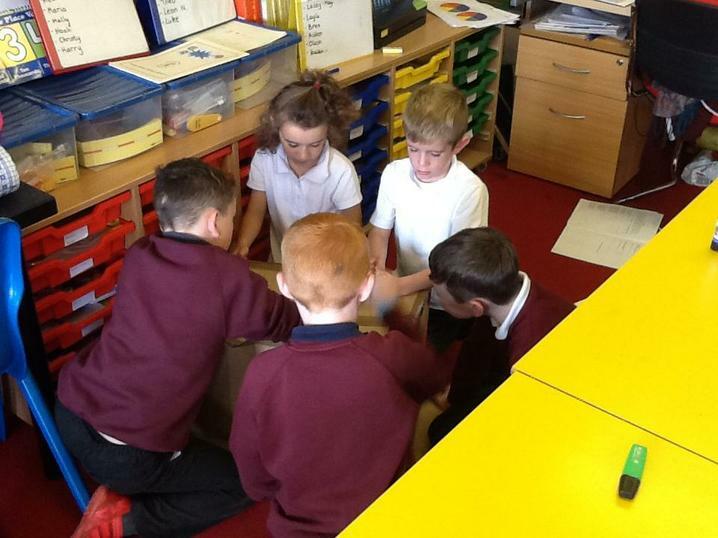 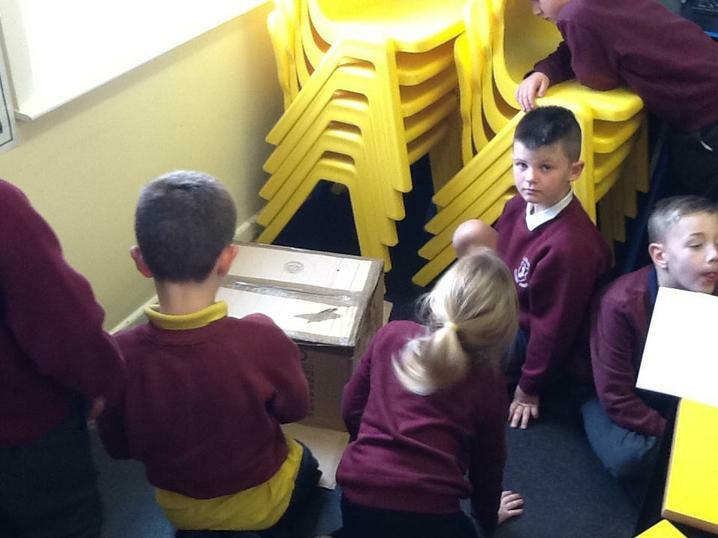 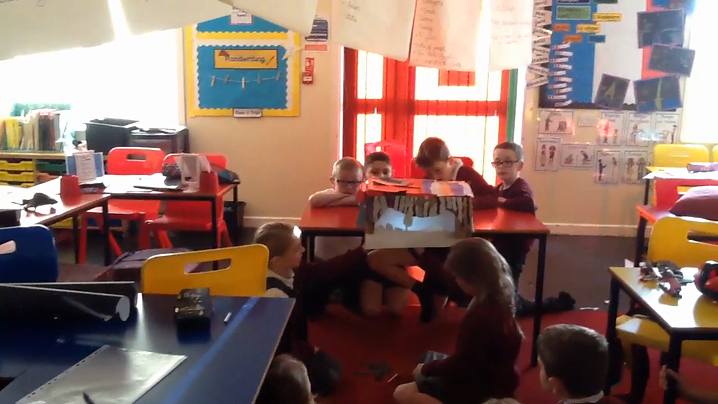 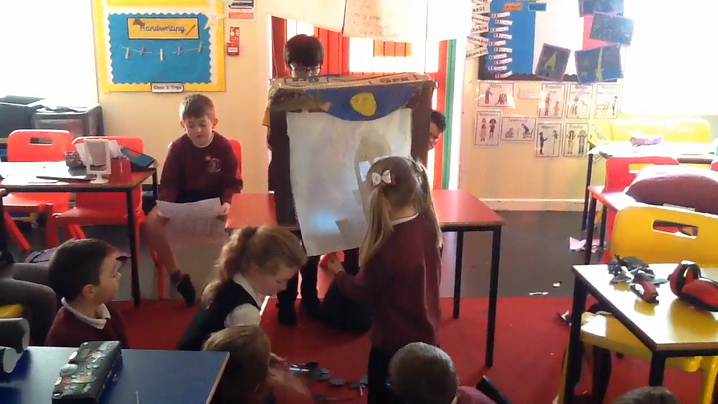 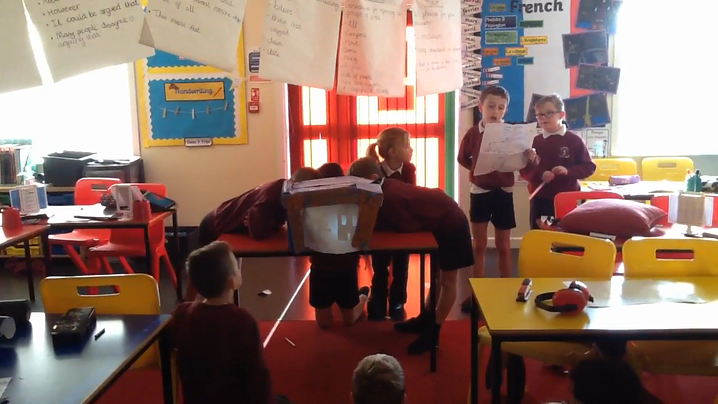 We then used the cardboard boxes to design a shadow puppet theatre. 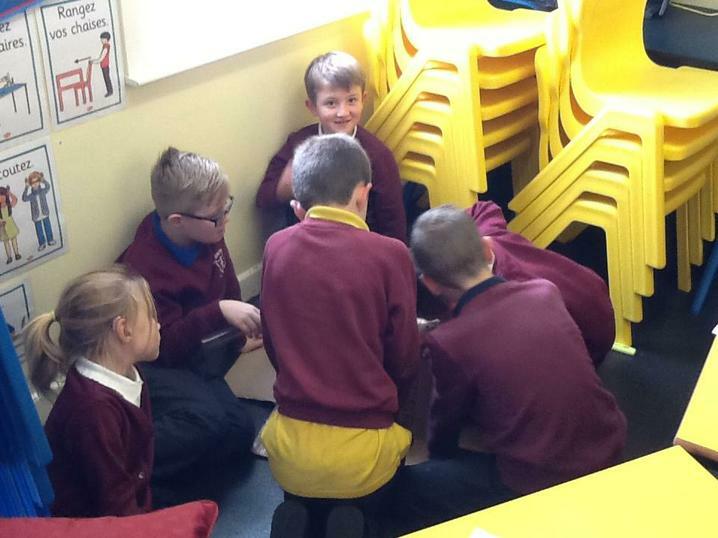 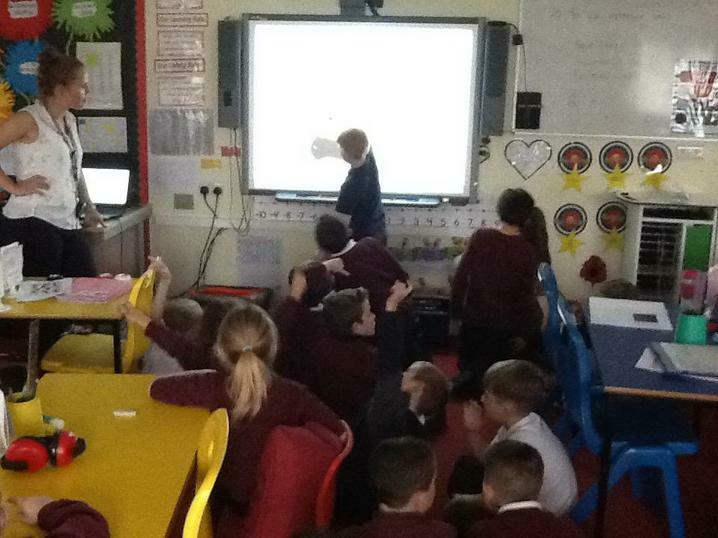 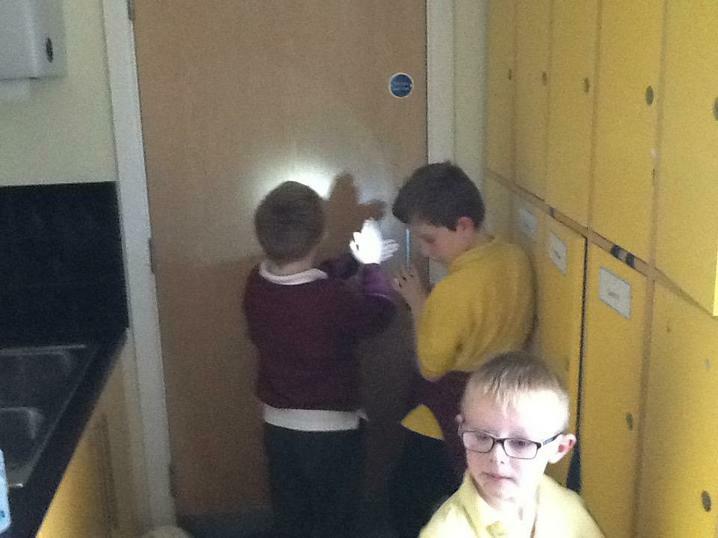 We created our own cave in our class to investigate which colours could be seen best in the dark. 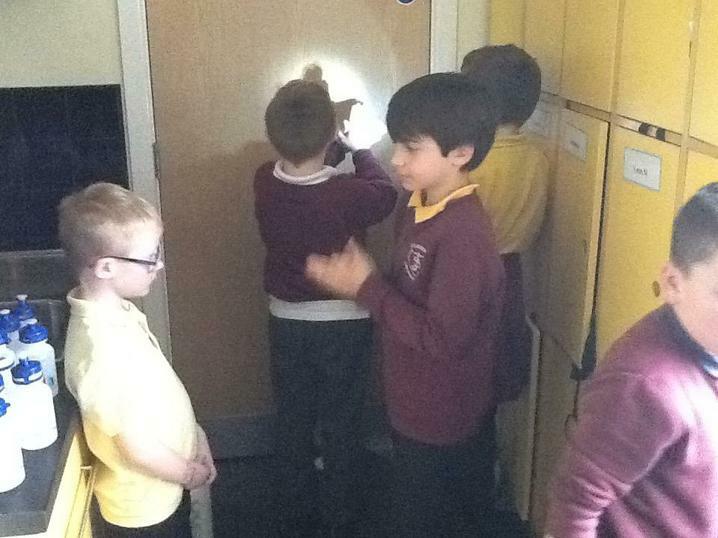 We found that yellow was the best colour and so we now know to wear bright yellow clothing when in the dark so we can be seen! 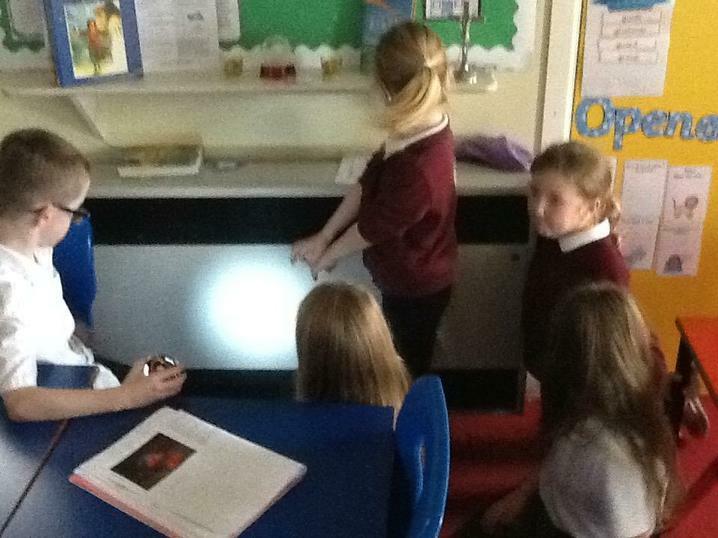 We we completed several activities to investigate how mirrors reflect light and image. 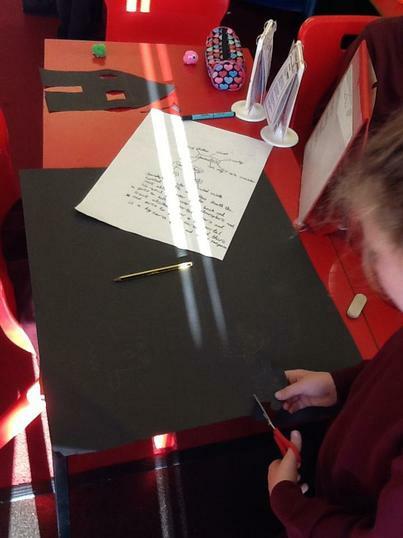 Mirrow Writing: We used a mirror to decode a short message and then wrote a message for our friend to decode. 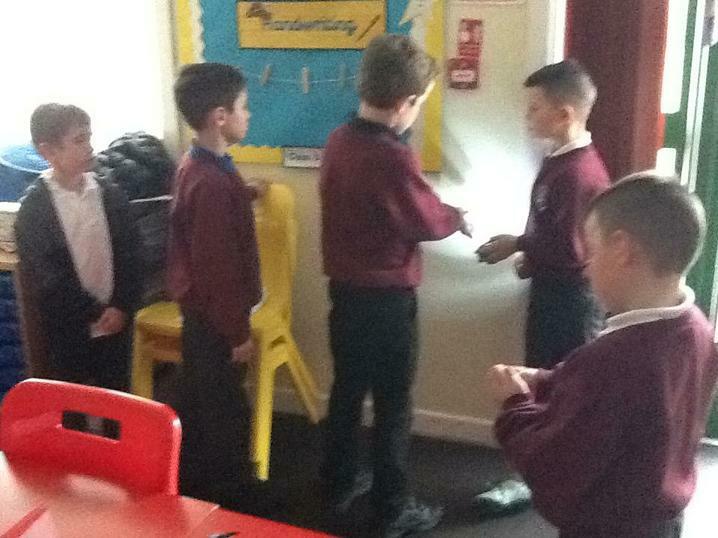 Mirror Maze: We traced over an up and down line whilst only being able to look at our hand in the mirror! 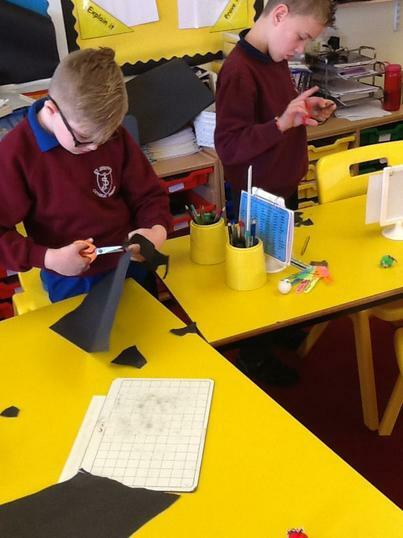 Mirror Multiplying: We taped a pair of mirrors so they hinge together. 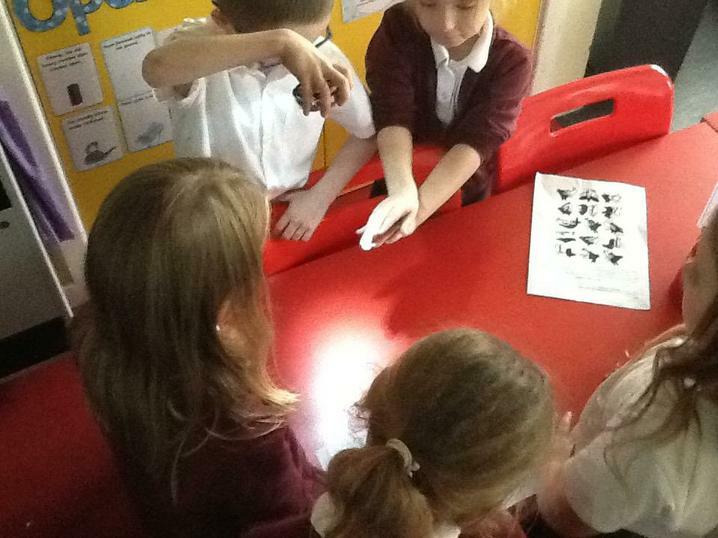 We then investigated how different items reflect in the mirrors. 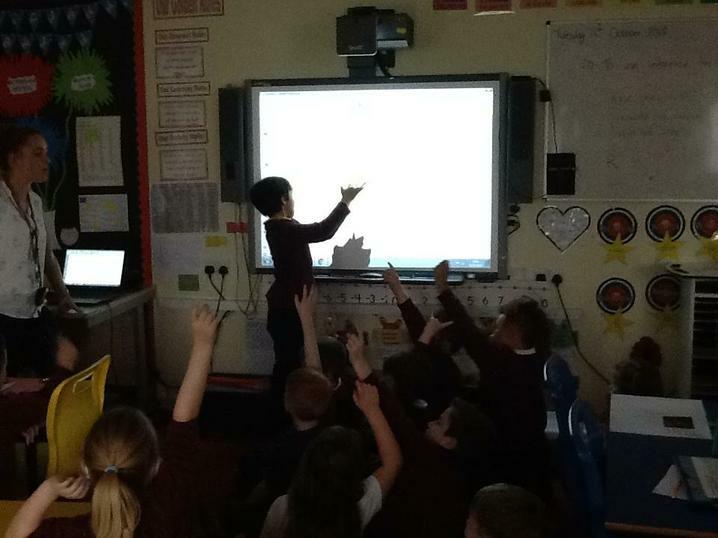 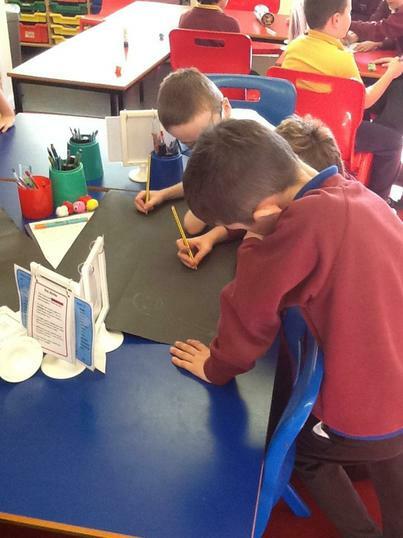 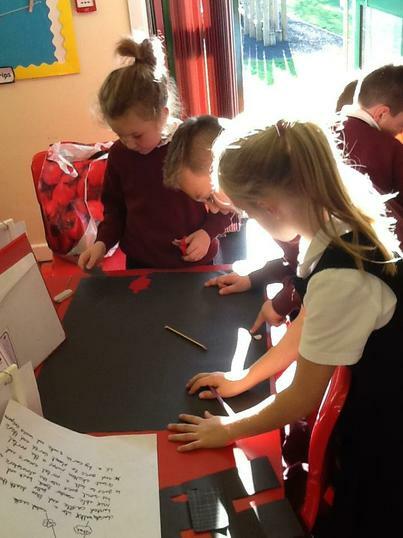 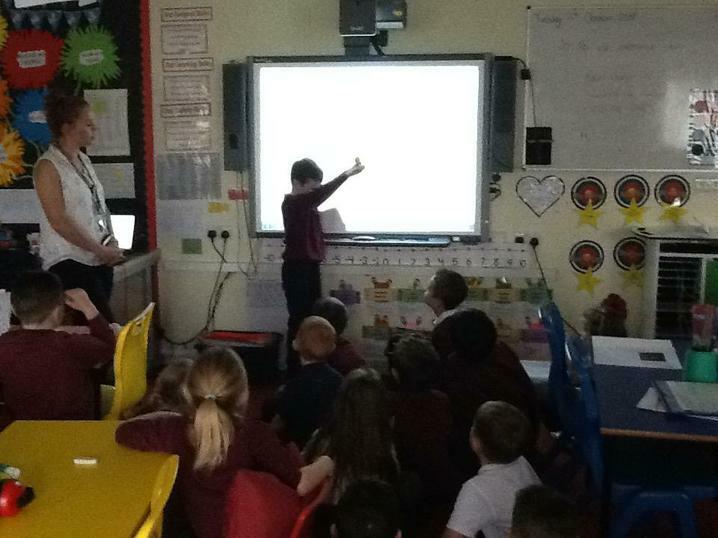 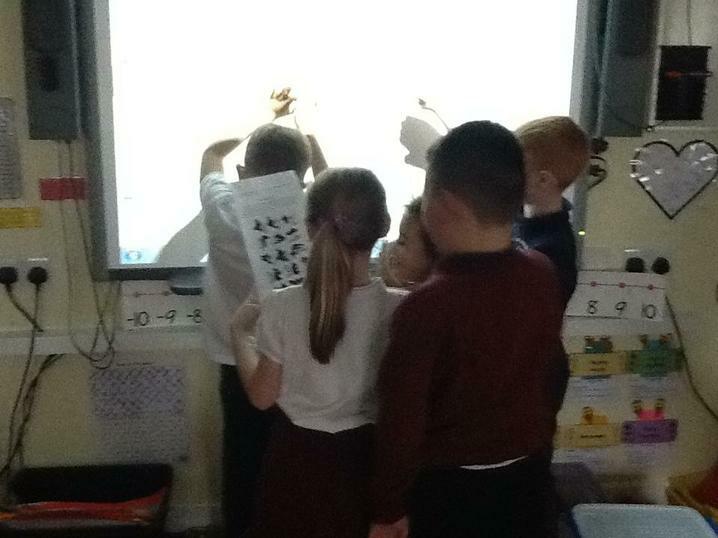 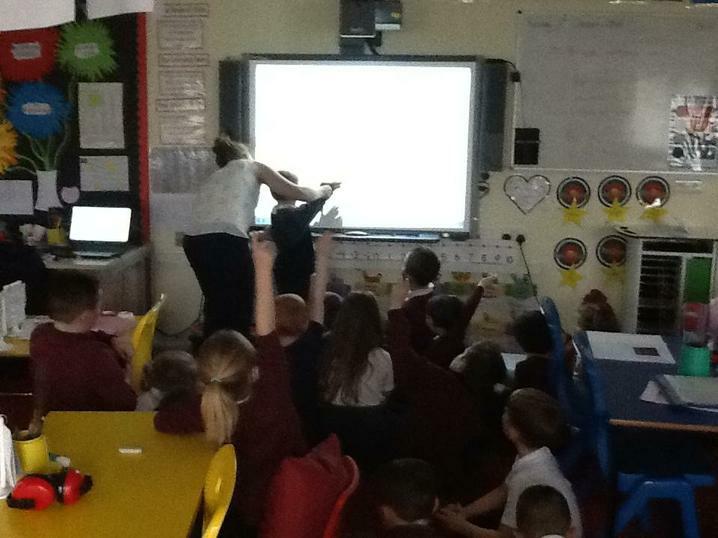 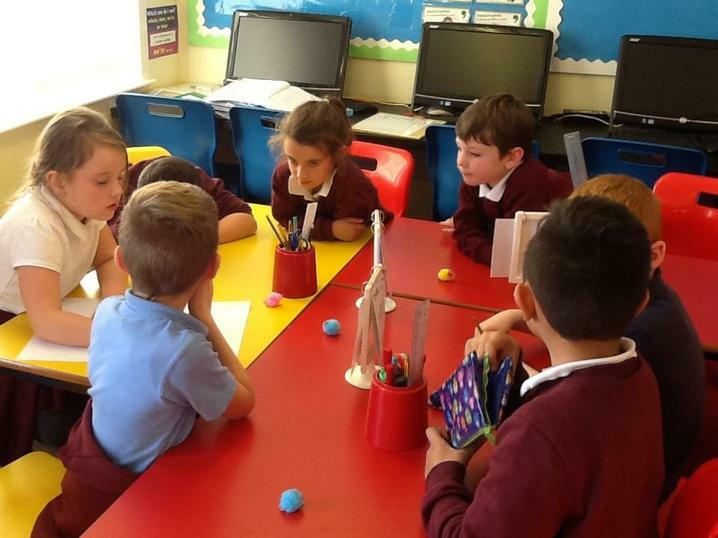 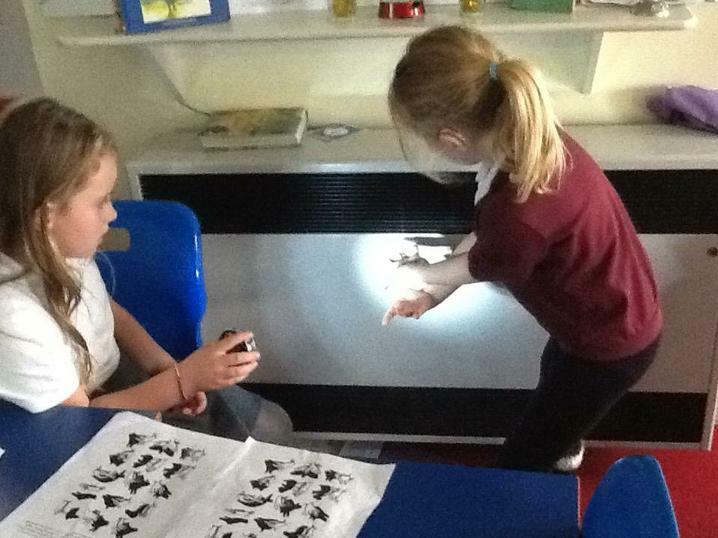 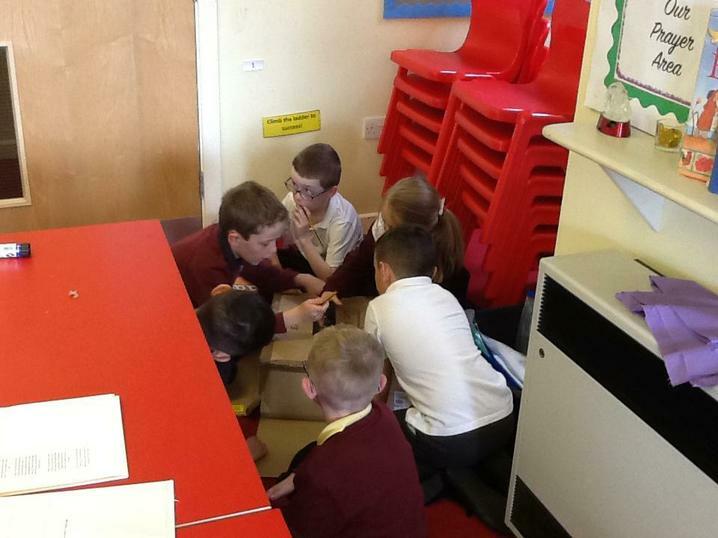 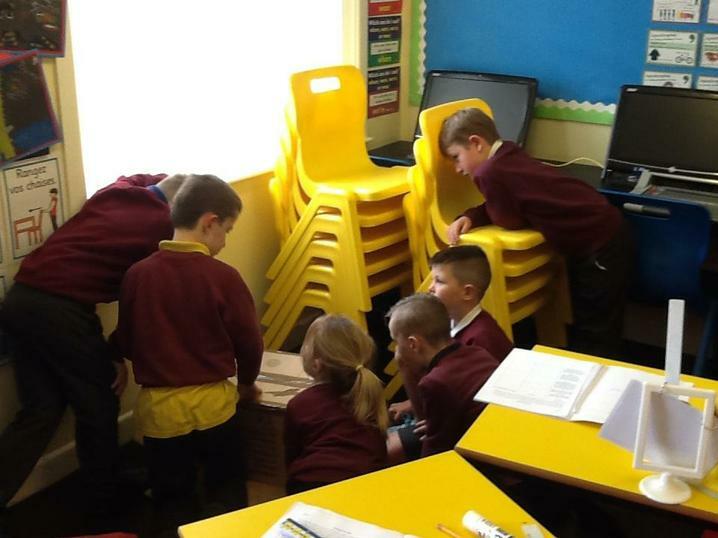 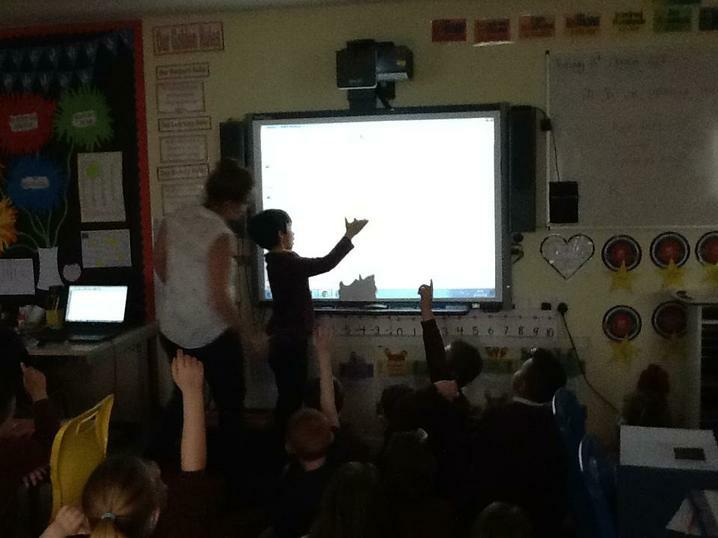 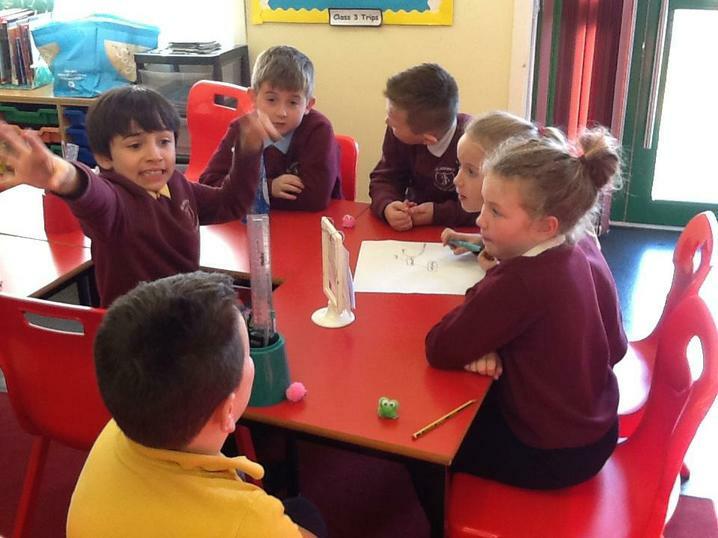 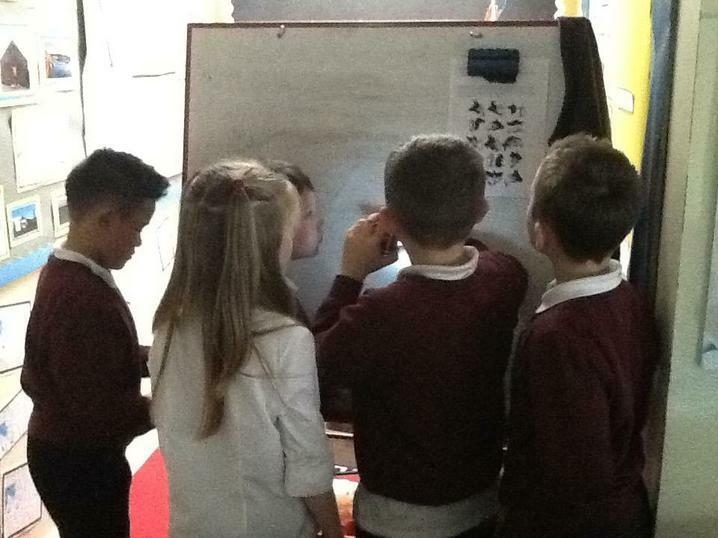 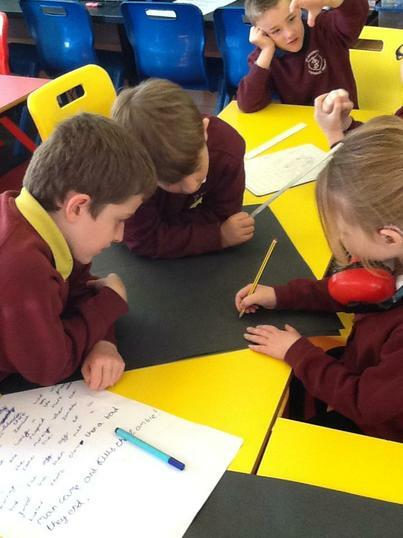 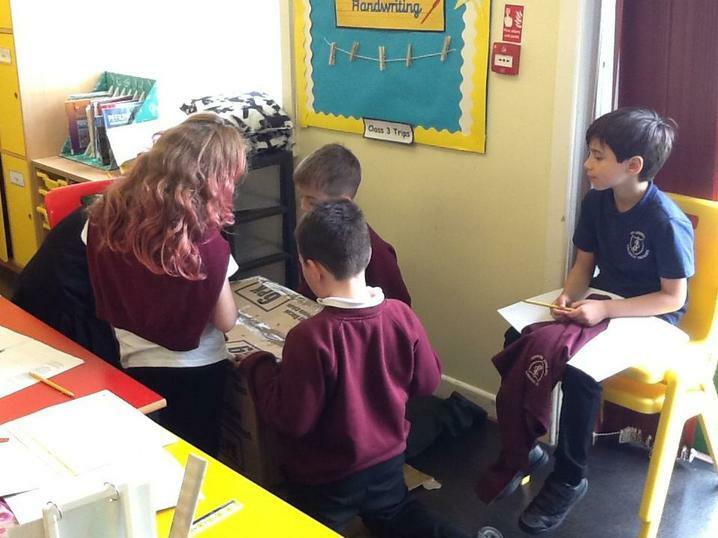 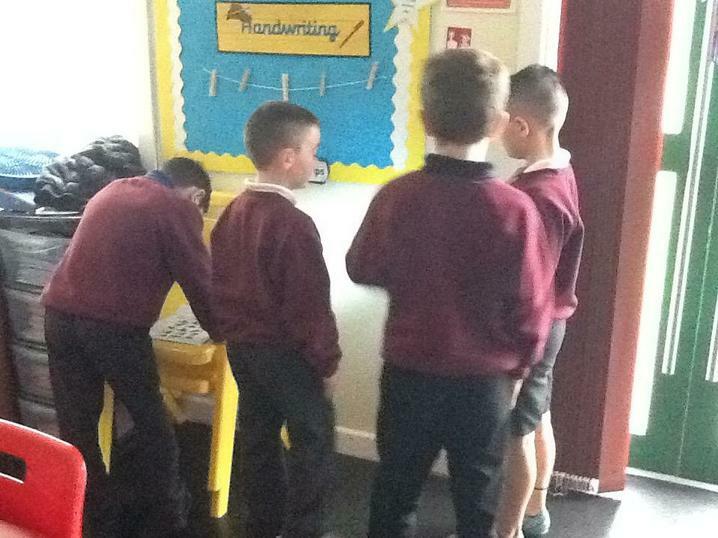 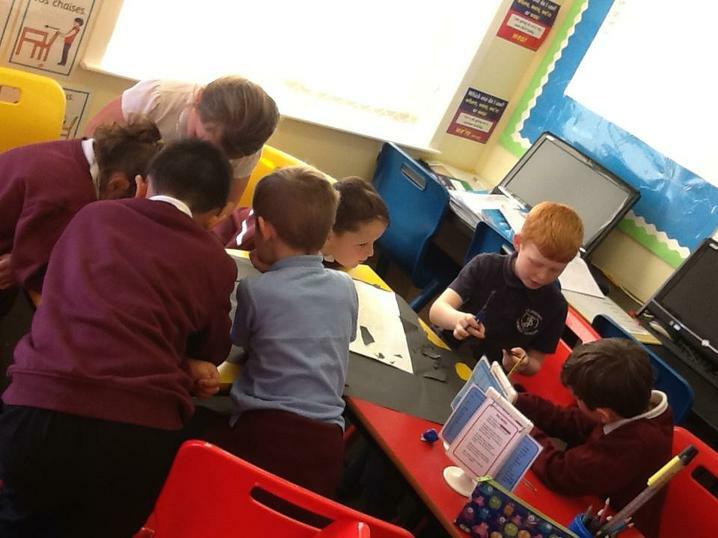 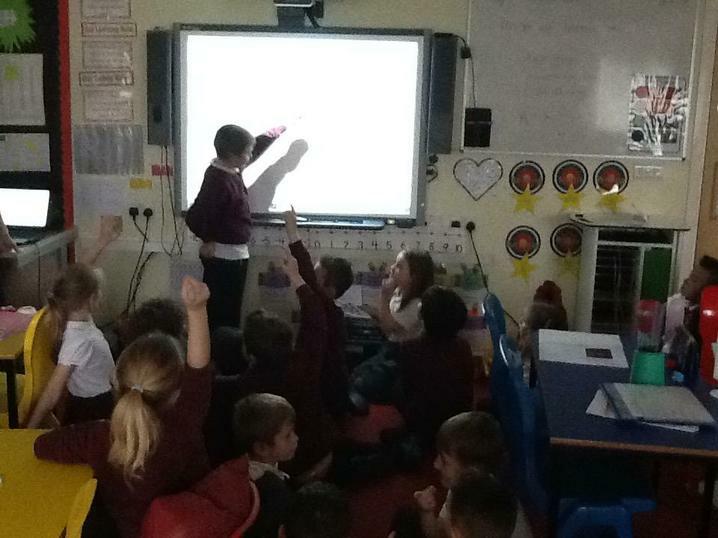 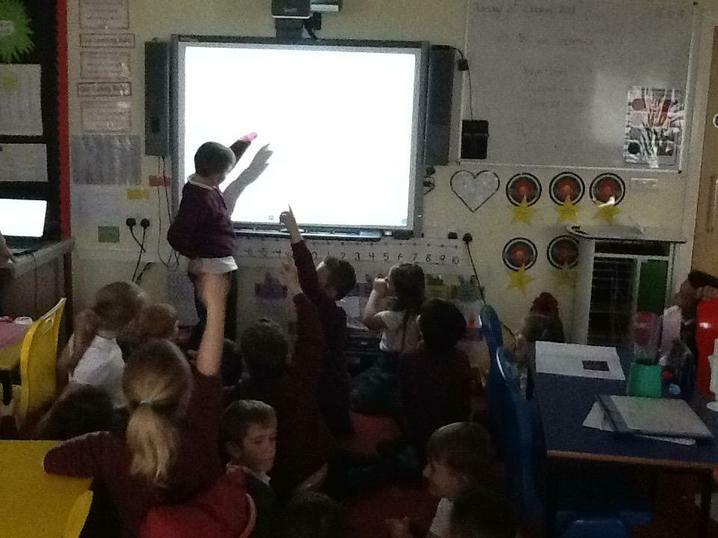 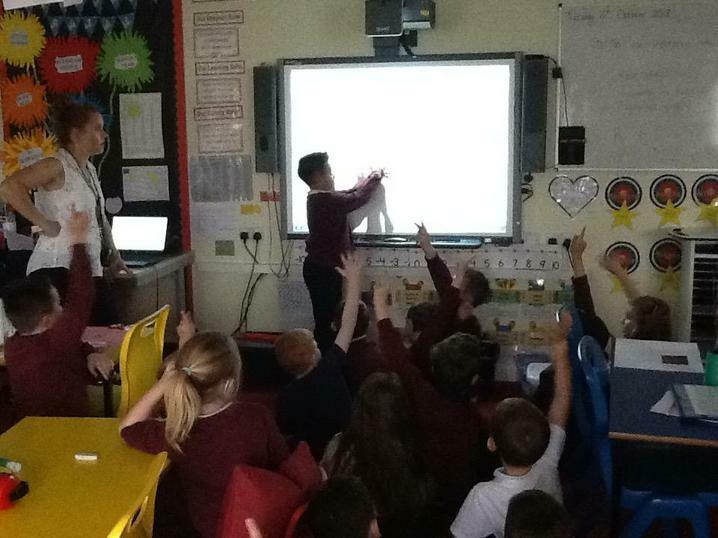 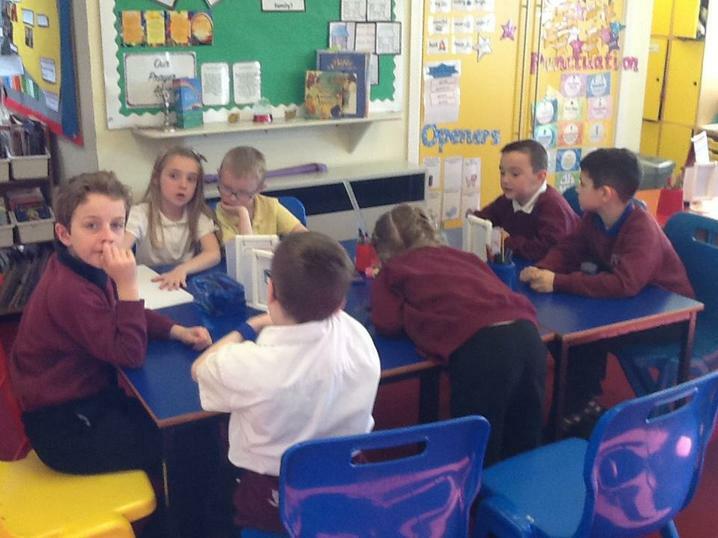 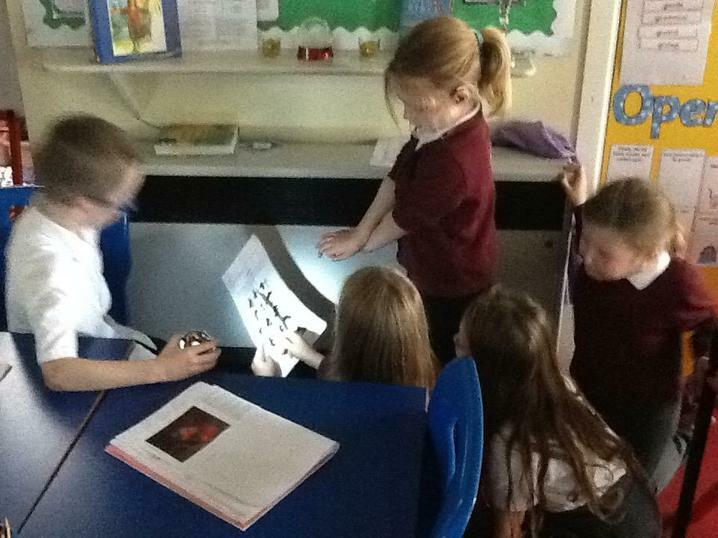 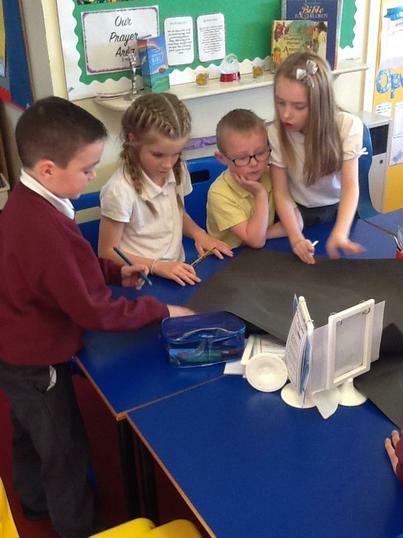 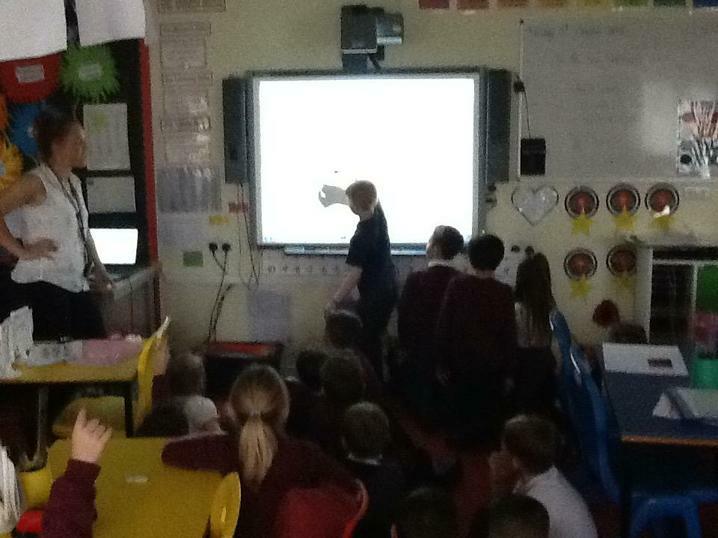 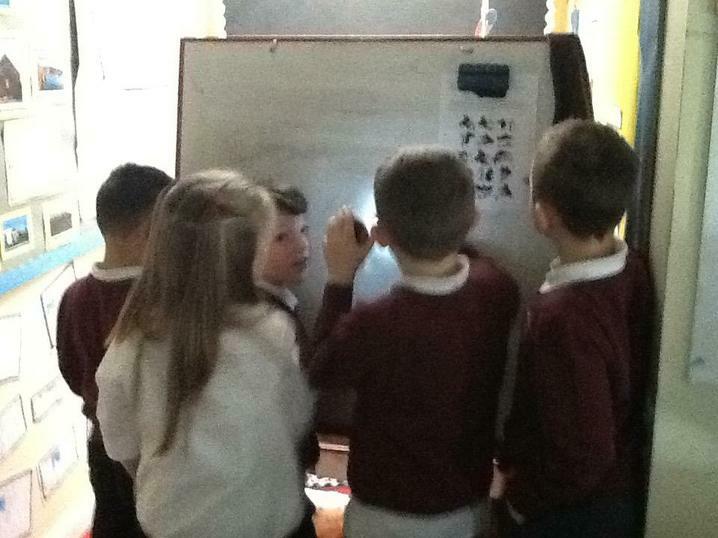 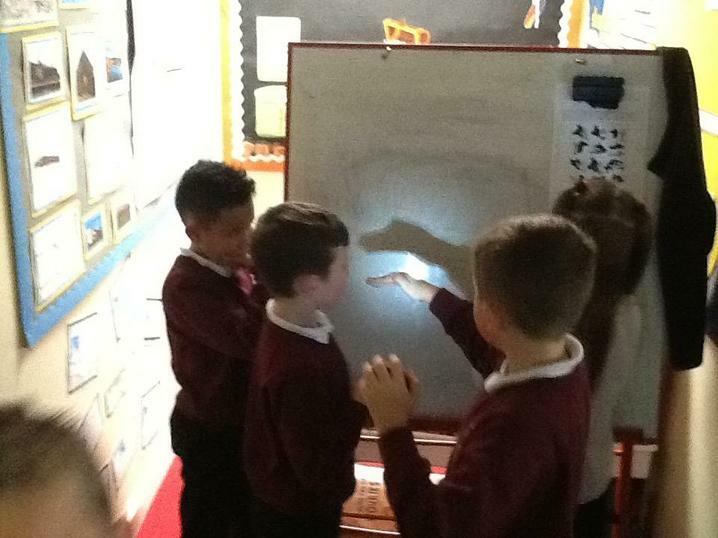 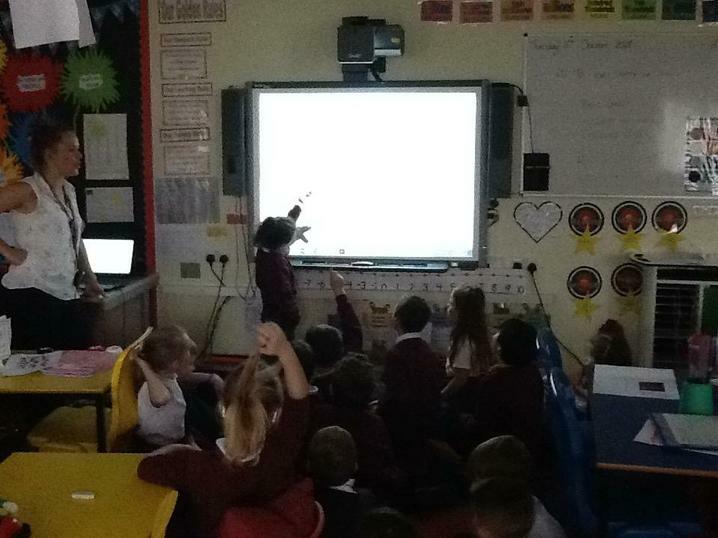 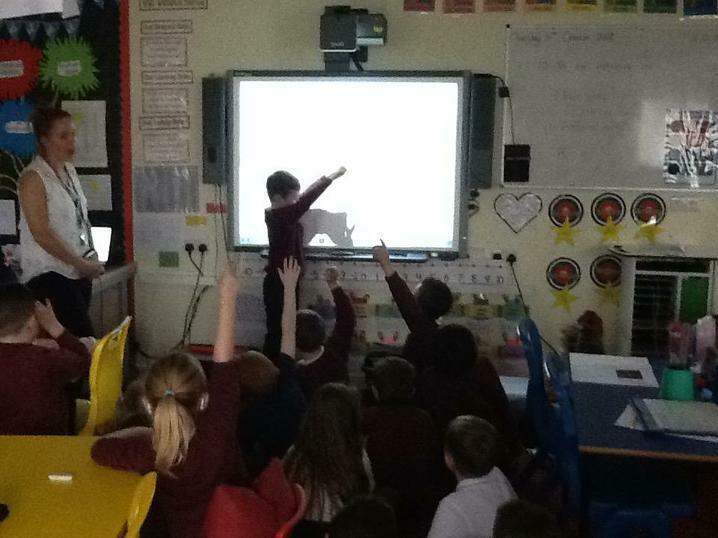 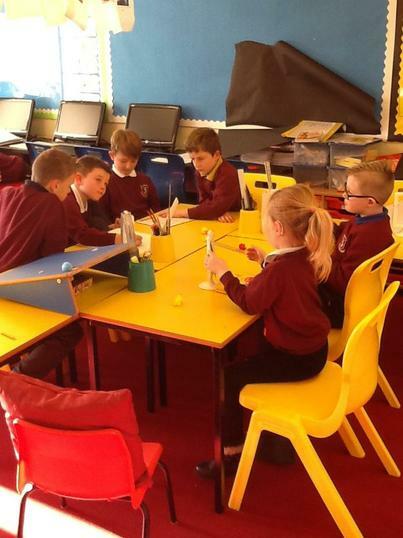 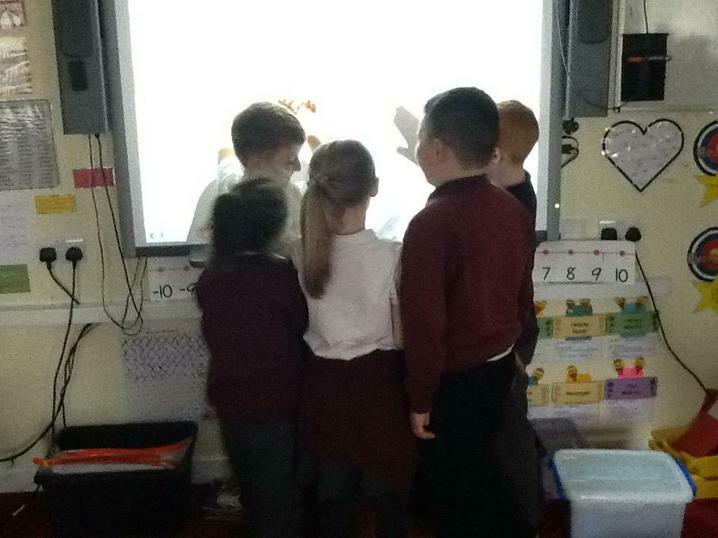 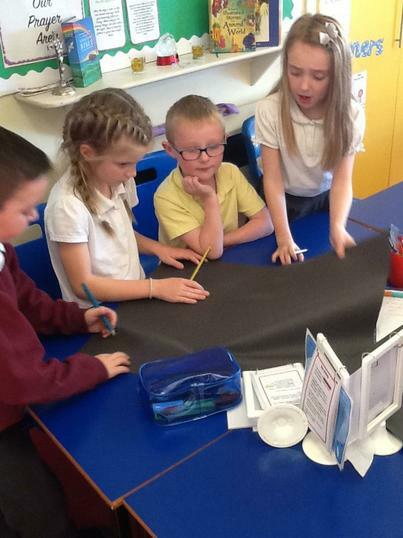 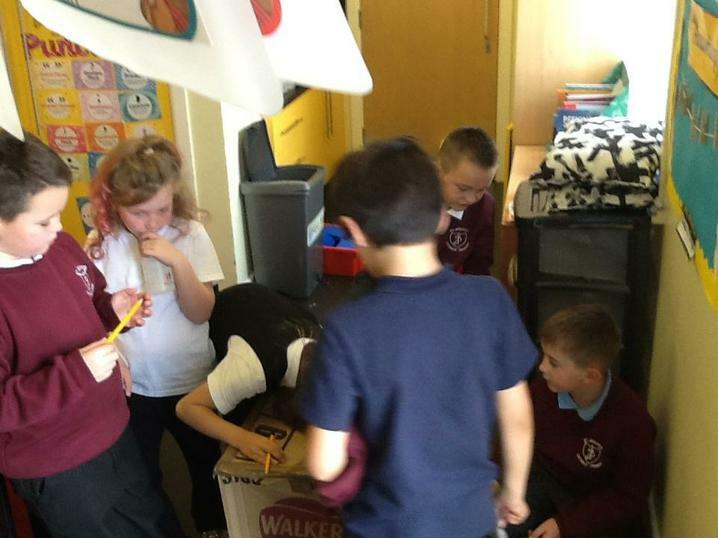 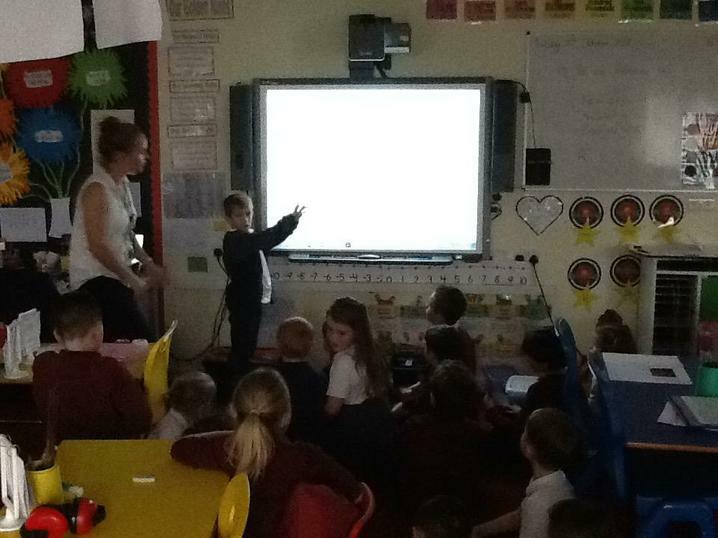 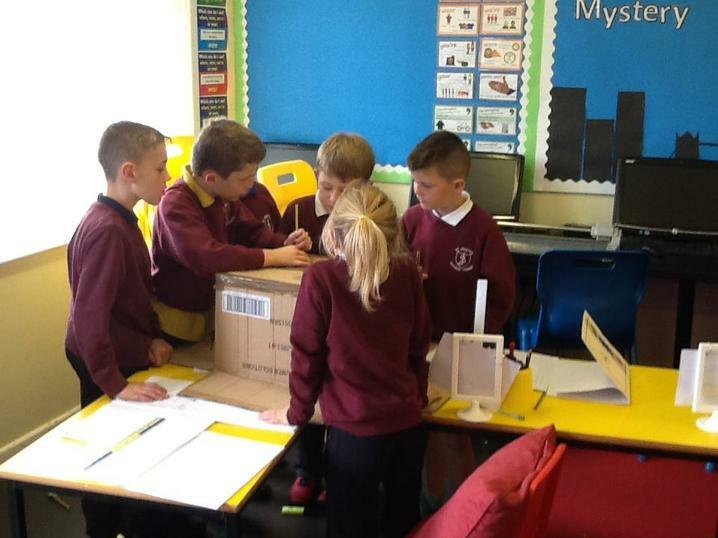 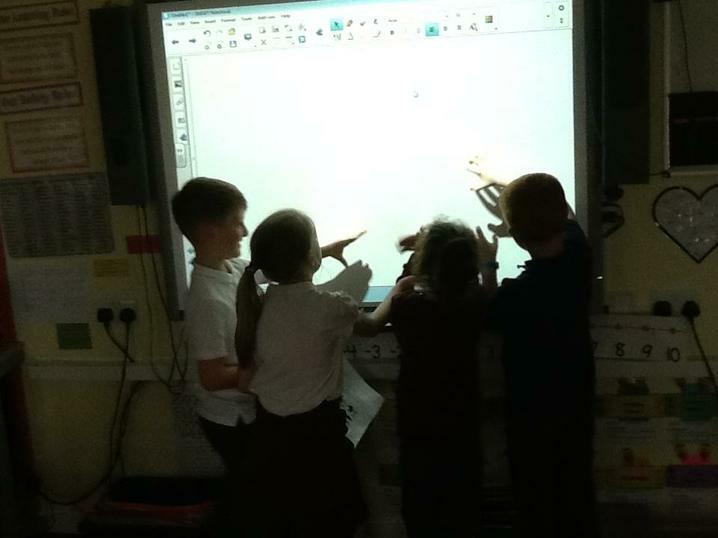 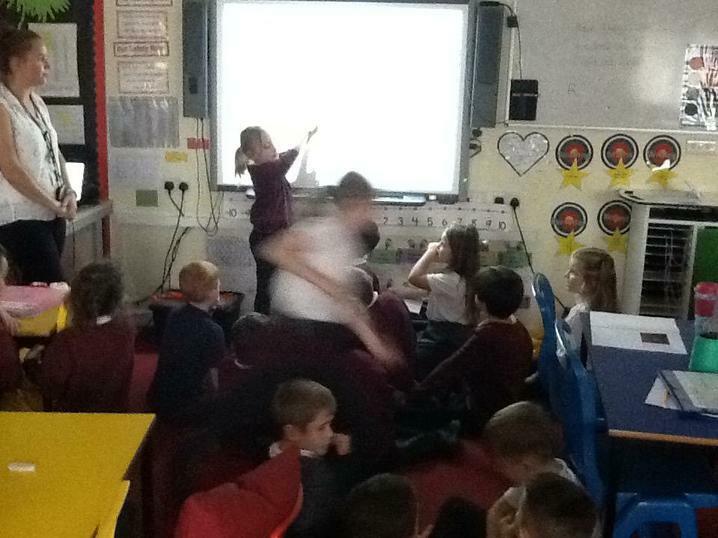 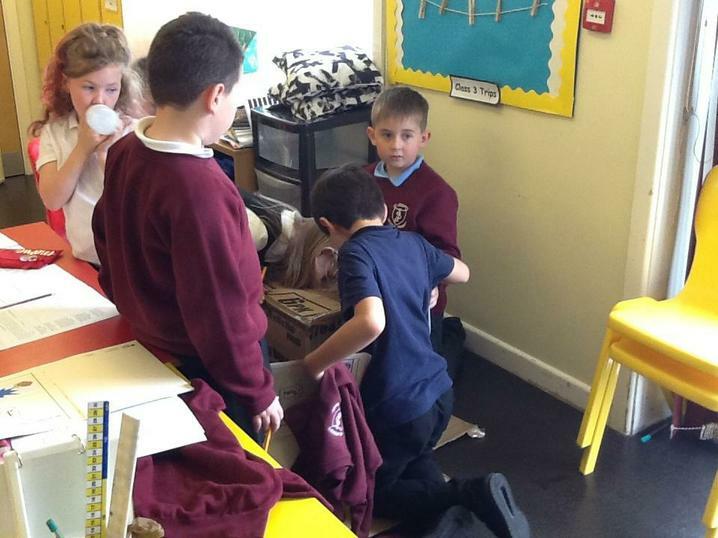 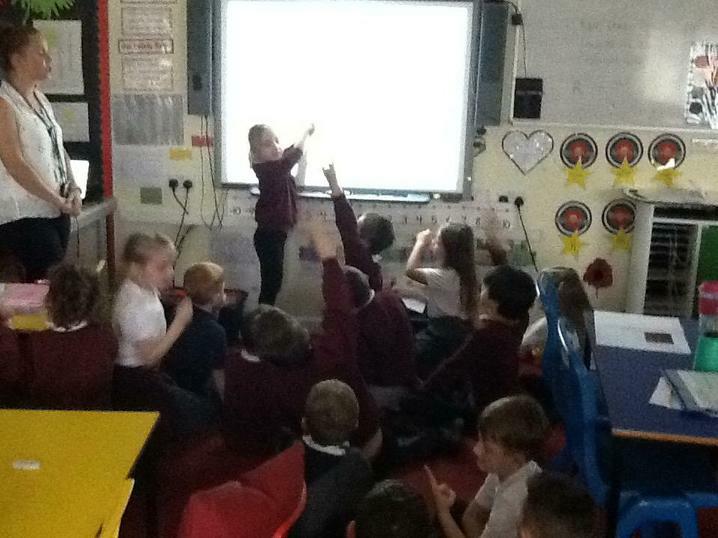 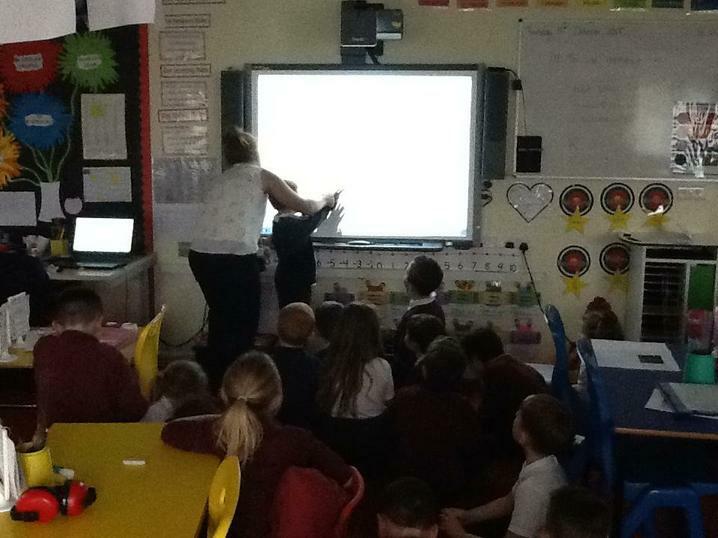 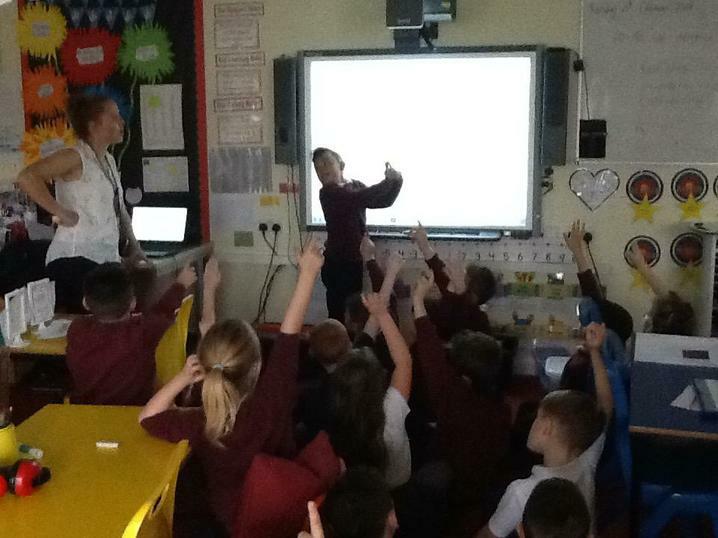 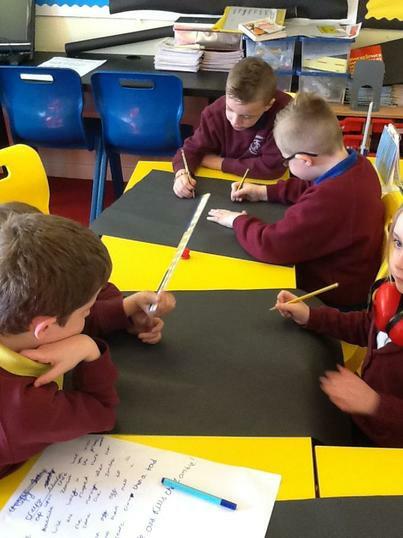 Reflective Surfaces: We looked around the classroom trying to find as many reflective surfaces as possible. 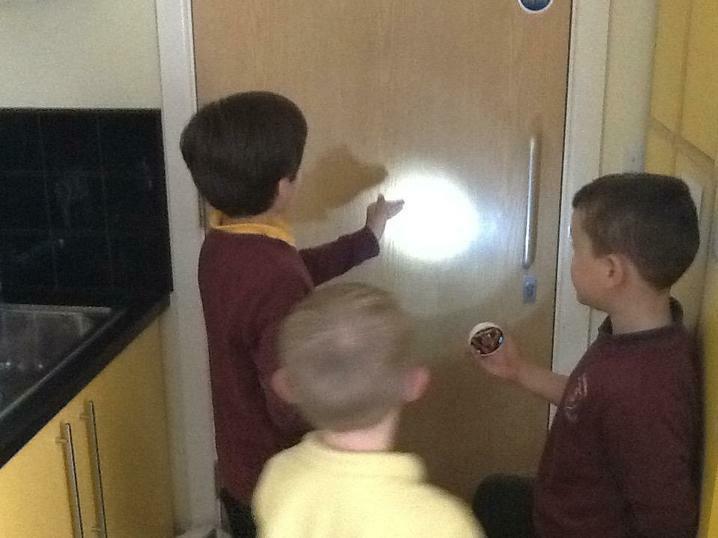 We were learning about how shadows are formed when the light from a light source is blocked by an opaque (solid) object. 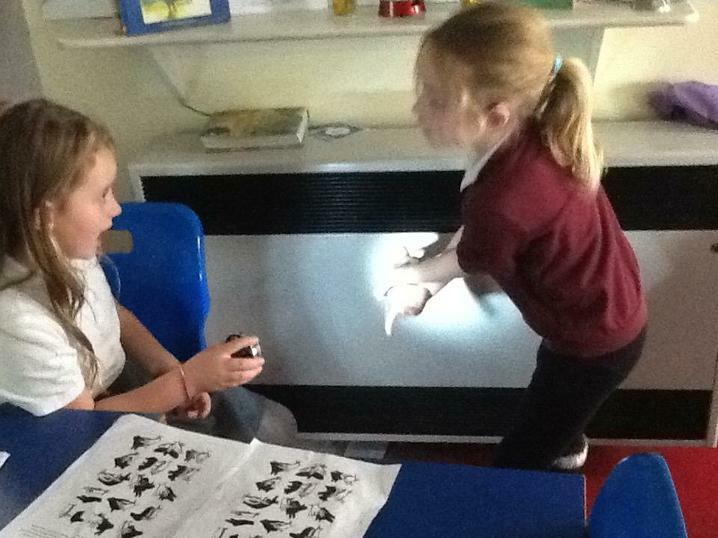 We took it in turns to select an object and cast a shadow in a beam of light. 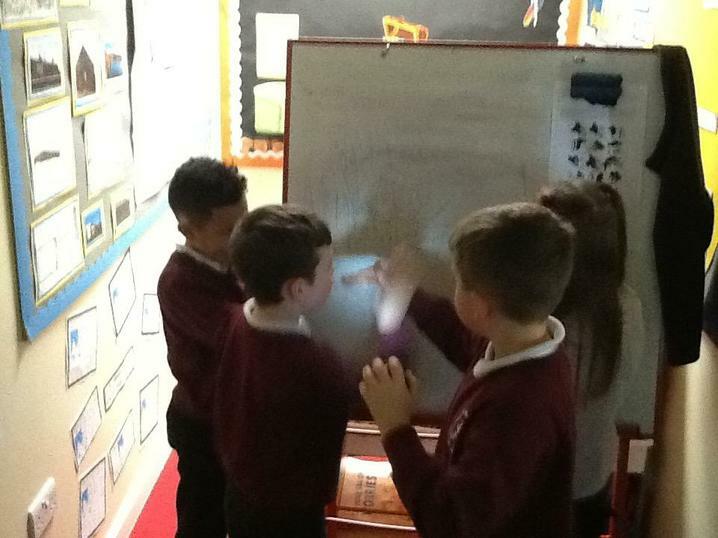 We then used the overhead projector to investigate different types of shadow and guess what shadow our class mates were trying to make. 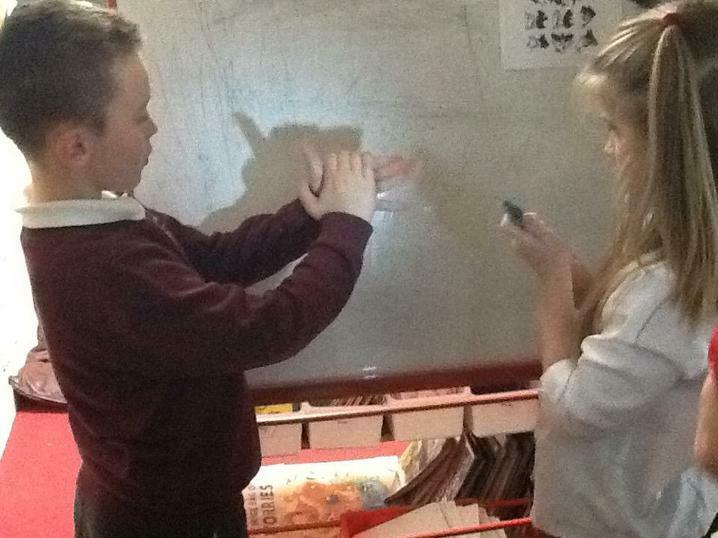 We investigated shadows to find ways in which the size of shadows change. 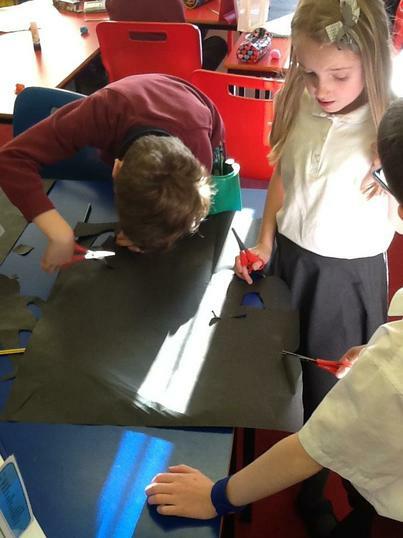 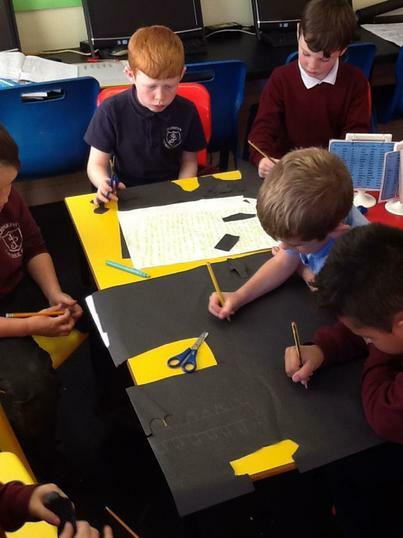 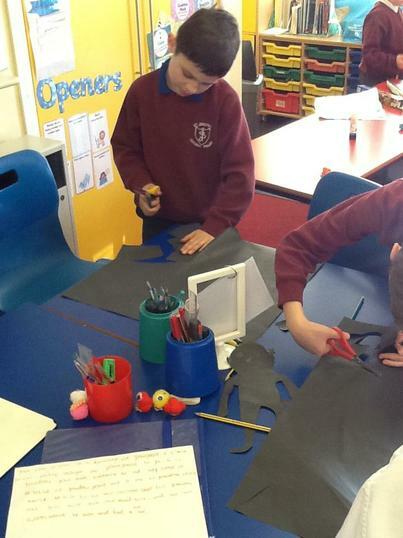 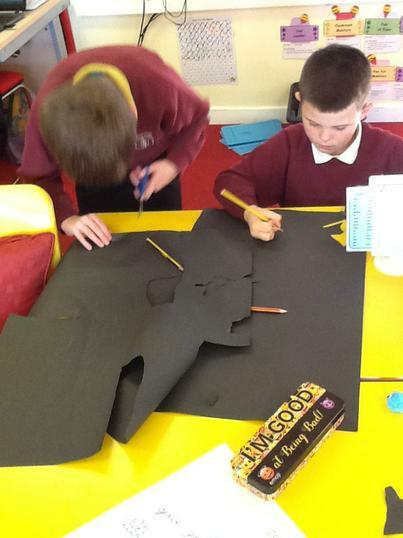 We then created spooky stories and characters and cut them out of black paper. 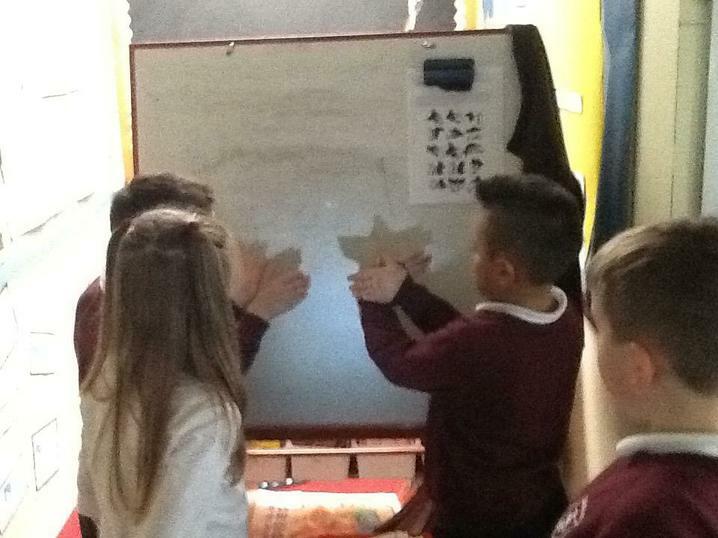 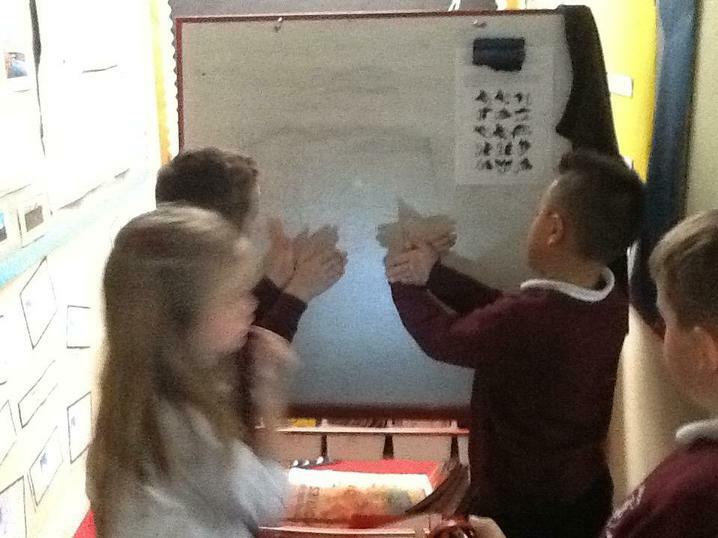 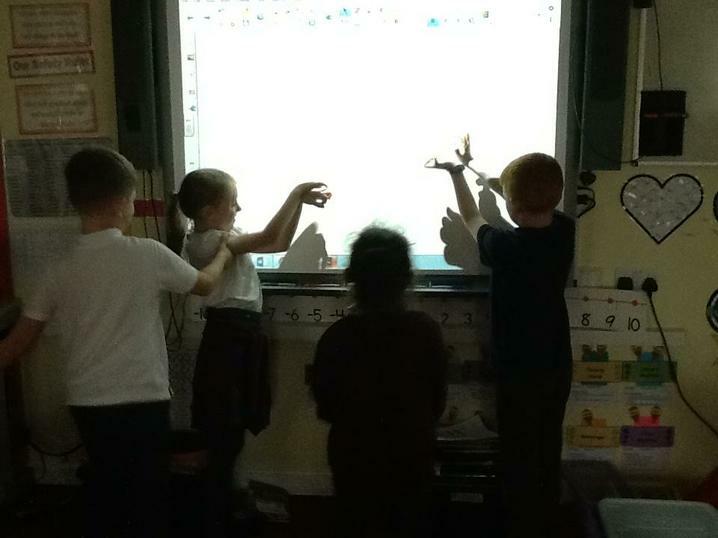 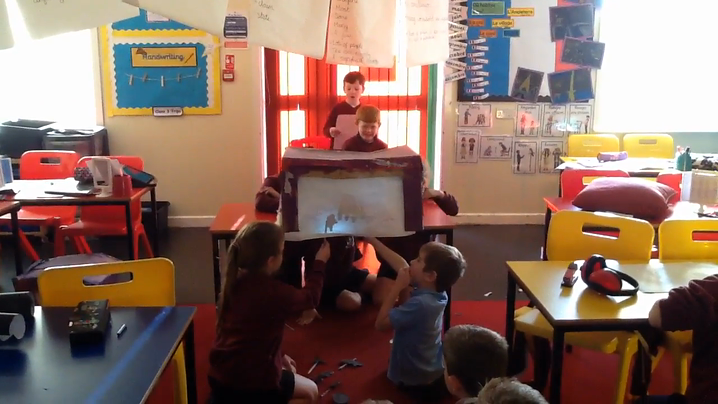 We performed our shadow puppet plays in our theatres we designed.